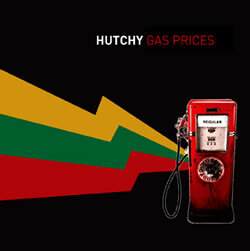 The enigmatic dub reggae singer Hutchy has returned with a new single: Gas Prices. Tuesday August 12; Kingston, Jamaica:- Washington D.C based Dub Reggae singer Hutchy has gone out of the box to create a timely and relevant social commentary on the present situation of high gas prices. Known for his gritty dub tunes and his innovative style, Hutchy dug deep and has also created a humorous video to go with the song. Most Jamaicans and people worldwide have been grappling with high gas prices for the passed few months; with this in mind Hutchy thought it would be a good move to chronicle the plight of the masses the way he knows best. “He who feels it knows it, I have to fill up each week and every week is a higher price, gas prices gone up wicked. Everything is connected and I know that I am not the only one out there going through these issues worse if you have a SUV. Hutchy’s life is like everyone else’s, we all face the same trials and tribulations in life so when people listen to the lyrics of Gas Prices they will walk away with a better overstanding of their current situation, even if it’s just to make them dance because the music is wicked” – Hutchy, Ruff Cut Records recording artiste. The video for Gas Prices was directed by Robin Bell and filmed in Washington D.C last month. The video features Hutchy and some of his friends grappling with high gas prices. In the video Hutchy is faced with a choice between filling his Hummer with petrol or buying dinner for his girl, Hutchy chooses his hummer which results in him losing his girl to a Chinese man on a bicycle. The video is hilarious and takes jabs at the present gas crisis. The song Gas Prices and its video will be released simultaneously on the nineteenth of August in Jamaica. Hutchy is presently working on a new Electronica album, a follow-up to his dub album My Time album which was released last year on his Ruff Cut Records label. The artiste has been touring consistently, promoting the My Time project and sees the Gas Prices song as a labour of love. “I think the song is impeccably good and people will enjoy the video. It might even sooth a few gas pains” – Hutchy, Ruff Cut Records recording artiste.